The Heart Haven's Morrison Home has been sold and the closing was done on September 20, 2018. All of the donated equipment that we received for use by the UMMen in maintaining the property has been removed from the shed. The riding mowers have been sold to some of the members of the York River District UMMen and the funds will be put in the District UMMen's treasury. We still have the push mower and the trailer available for sale if anyone is interested, please contact me soon. The District UMMen have been maintaining the property since the home was dedicated in 2009, and it has been such a blessing to see the men working together and keeping the home as a beautiful asset to the community. A special thank you to all these men and the leadership that made this all possible. The Brick Memorial Prayer Patio that was at the property has been moved to St. Marks UMC, Hampton through the generous efforts of the UMMen at that church. The new location is a great setting and will be available for everyone wanting to visit. I encourage the District UMMen to continue our connection to this effort and support all future plans to work together again. We will be sharing more about this opportunity on our website soon. It has been a privilege to work with each of you and to be a part of this great commitment to help others in service together. May God bless each of you and the York River District UMMen as we move forward in all we do. 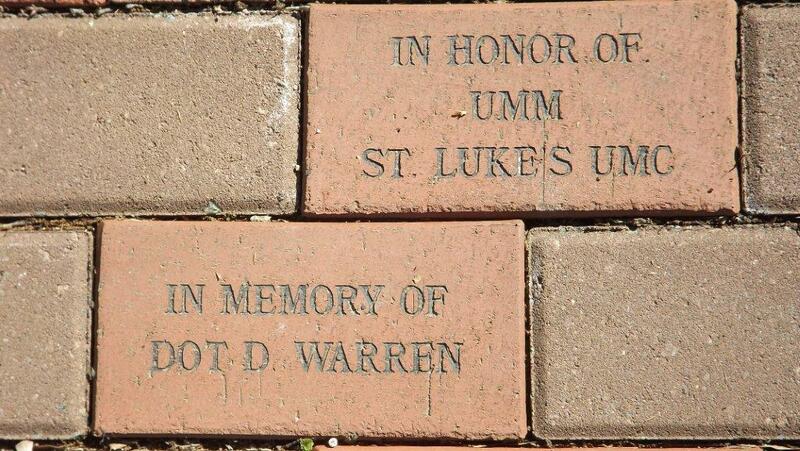 Memorial bricks are a beautiful way to honor a person, a group, or to memorialize a loved one who has gone before us. The financial sacrifice you make also helps the York River District UMMen maintain the exterior of the Morrison Home. Commemorative brick paving stones are available for placement at the Morrison Home at a cost of $75 per brick. Three lines @ 18 characters per line are available for a statement in honor of, in memory of, or other appropriate messages. Heart Havens, Inc. provides for the residential needs of adult individuals with intellectual disabilities through the development and management of group homes. The Newport News Heart Havens Home was envisioned as a project by the former Peninsula District UMM in the early 2000's. Funds were raised for construction of the building. The property was donated to Heart Havens in 2005 by Morrision United Methodist Church, Newport News. Ground breaking occurred on June 10, 2006. Oversight of planning, obtaining local permits, construction, and furnishing was managed by members of the Peninsula District UMM. After completion the home opened in June 2009. The next Morrison Home Work Day will be: Saturday, March 18, 2017. Note: Rain date will be April 1, 2017(No fooling). We will start at 9:00 am and go as long as you want to stay. More limbs have fallen from the recent winds. Great job guys on the last work day! Move all the piles of limbs and debris around the property to the street for pickup by the city. Need pickup trucks and trailers to move debris. Bring work gloves. Some chainsaws might be needed to cut limbs to proper sizes for pickup by the city. Meet Don Frederick who graciously keeps the Morrison Home power lawn equipment in tip-top operating condition. Morrison Home weekly lawn maintenance is performed by work teams assigned from the York River District UMM churches.
" Before mowing, please pick up trash, rocks, tree limbs/branches and then cut the grass around the home, shed and ditch and shrub areas, including the Frederick Drive side and 238 Harpersville Road: front, side, & back lot areas. Please do not trim hedges, bushes or trees – This will be done seasonally as needed." For details about Heart Havens, Inc, including its mission, its 13 homes, opportunities for support, and admission information, please visit the website at www.hearthavens.org .